Nothing says Las Vegas like the warm glow of neon lights, and no other artist epitomizes the style of Sin City than Michael Godard. Combine these two with the Sitting on Seven Game Room Clock from Michael Godard Designs. 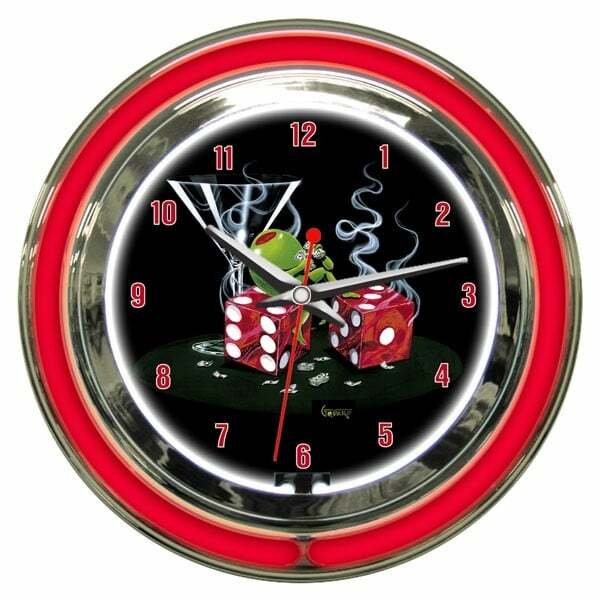 This game room clock offers white and red neon along with artwork by the "Rock Star of the Art World", with one of his memorable martini olive characters raking in the cash after rolling seven!